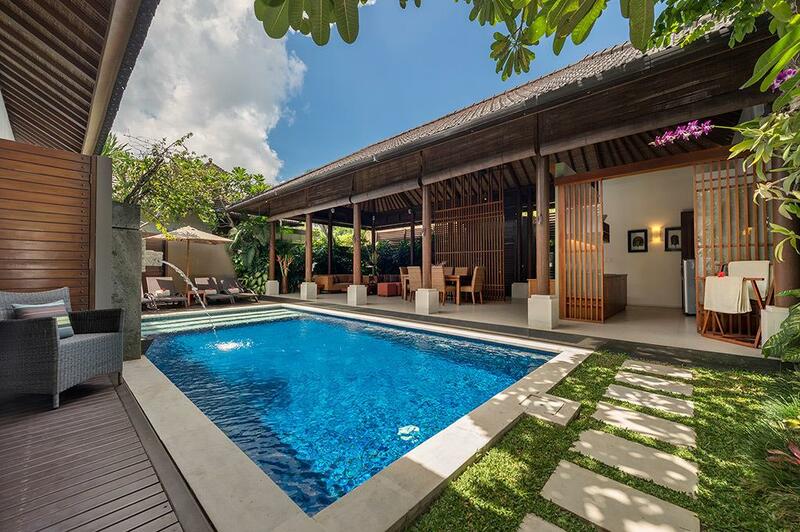 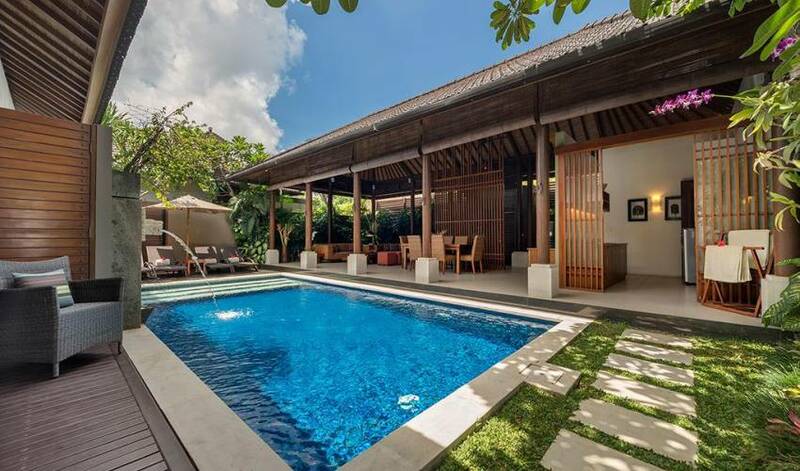 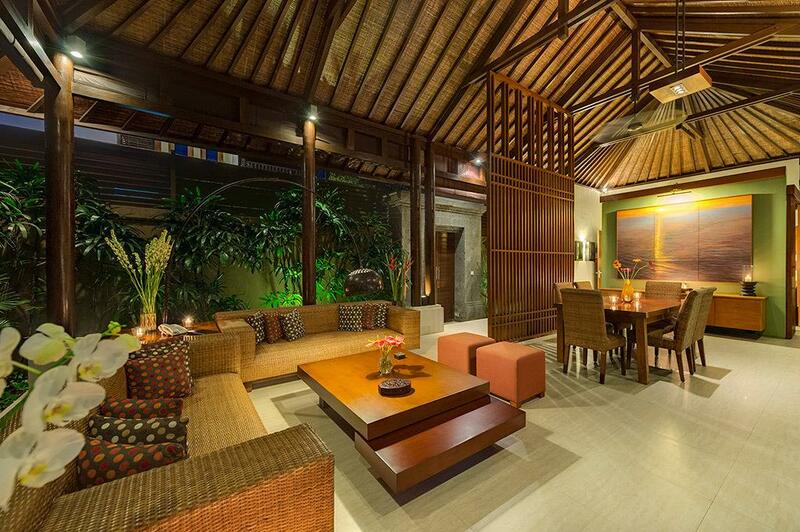 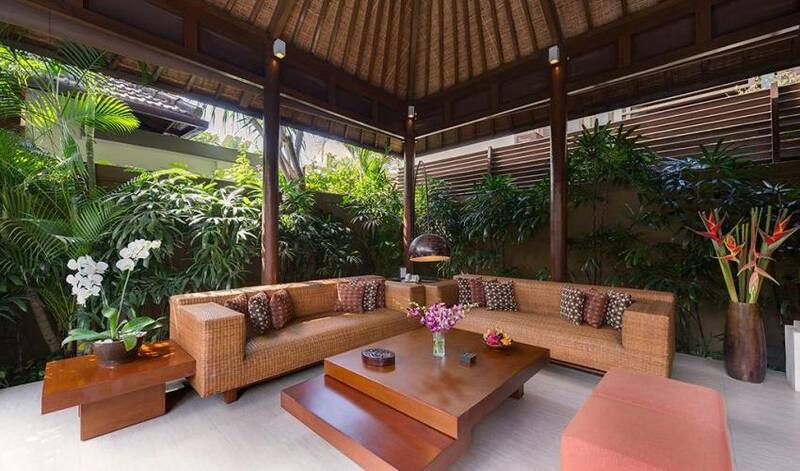 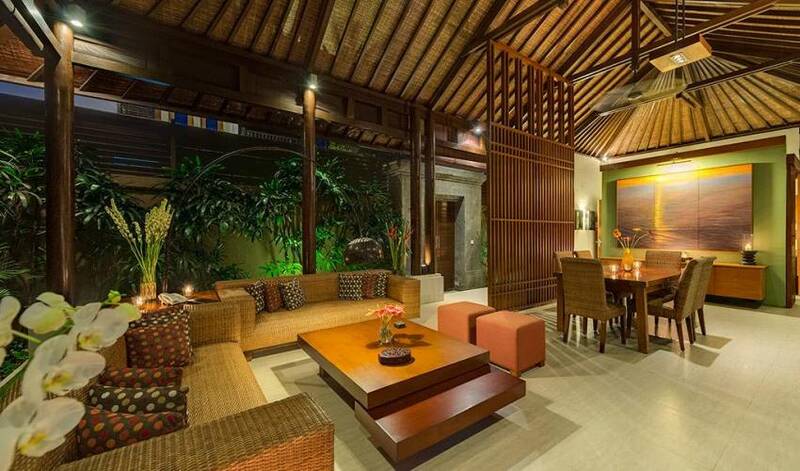 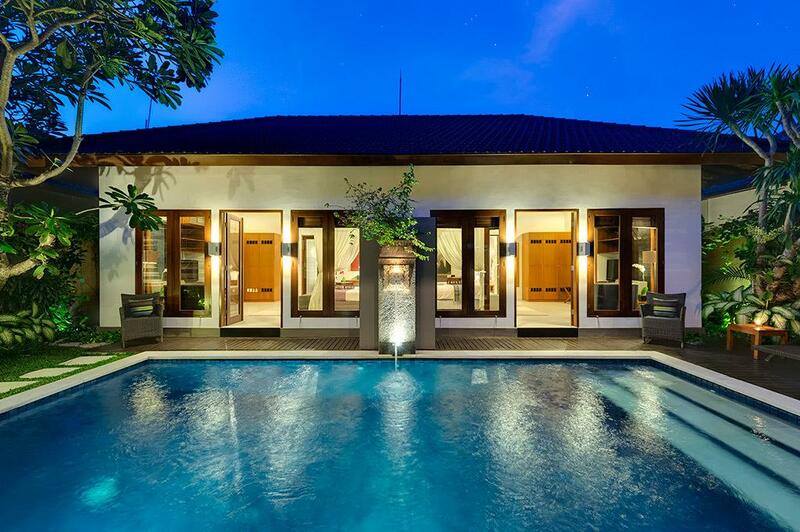 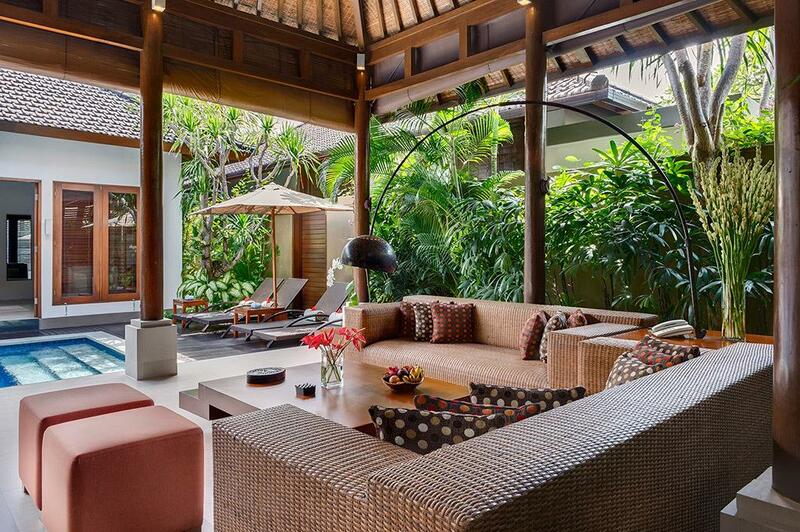 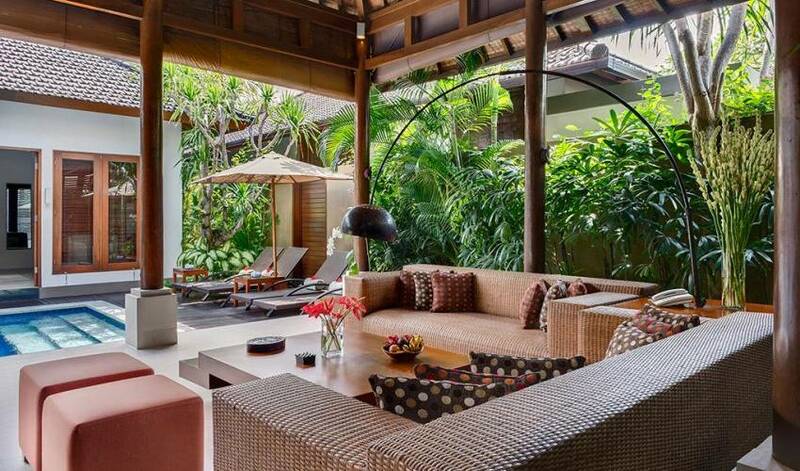 Named after a sacred mountain in East Java,where thousands of pilgrims go to seek blessings, the villa has a contemporary Balinese design, blending dark and natural timber with creamy stone. 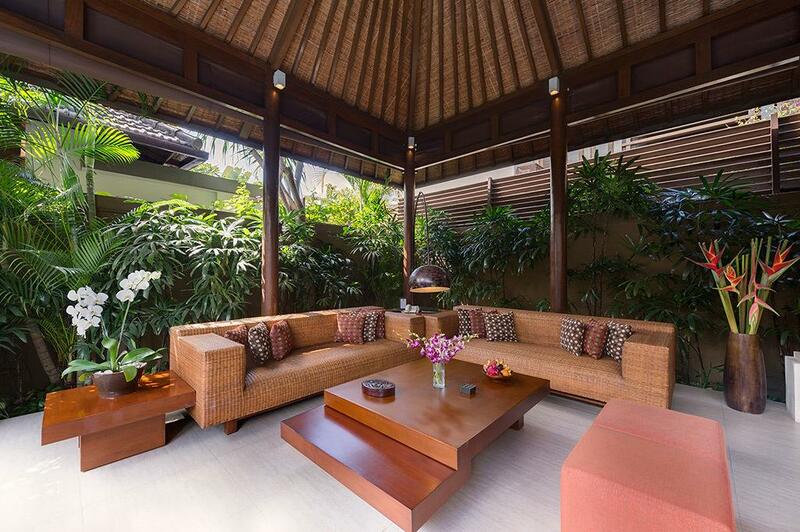 An ode to elegant tropical living, minimal adornments include sprays of orchids and a smattering of local artwork. 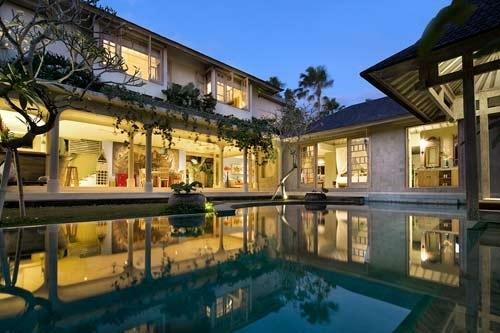 The atmospheric open-sided living pavilion has tall sloping ceilings and overlooks a swimming pool fringed with panda nus palms and frangipani trees. 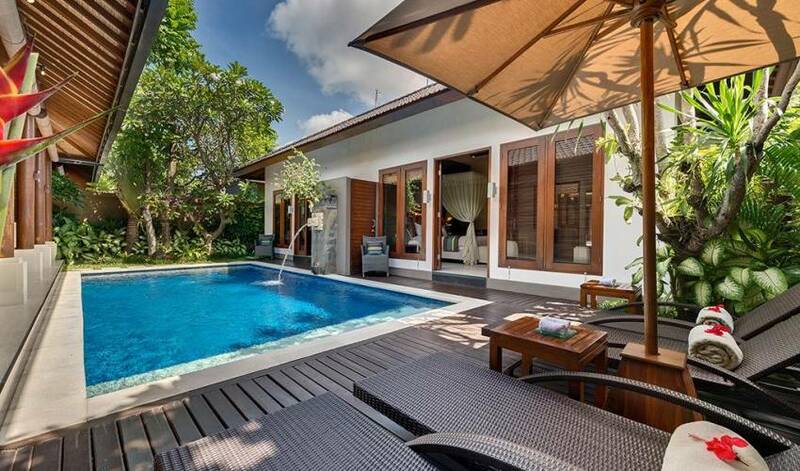 Two spacious air-conditioned bedrooms have delightful courtyard garden bathrooms. 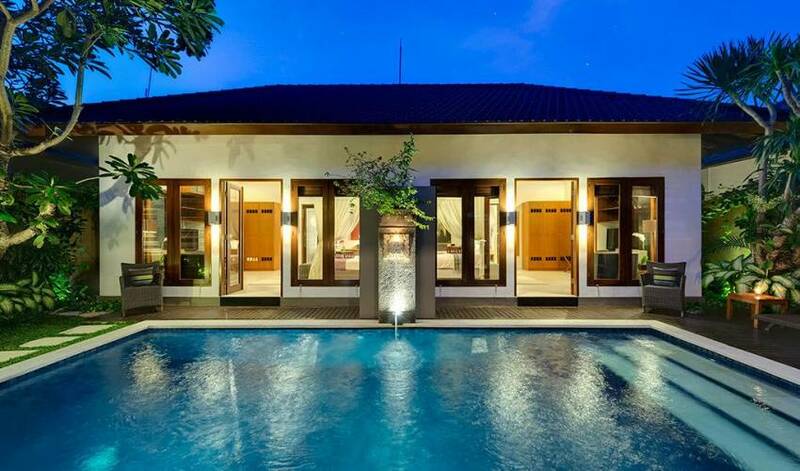 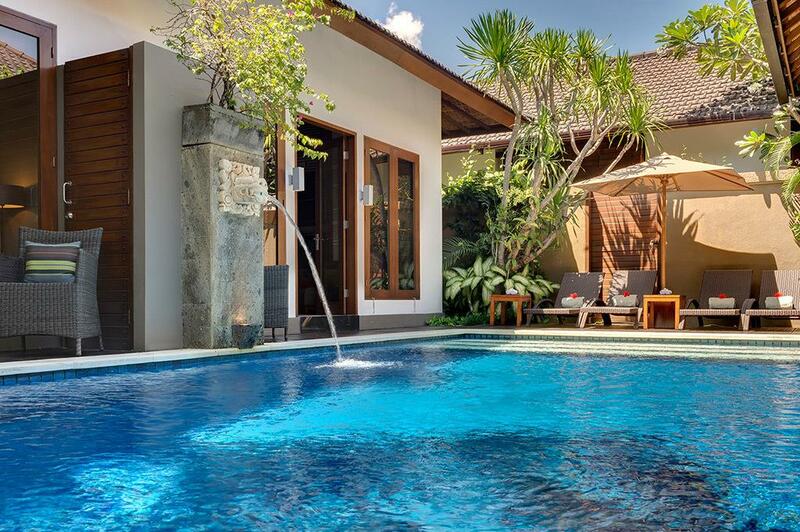 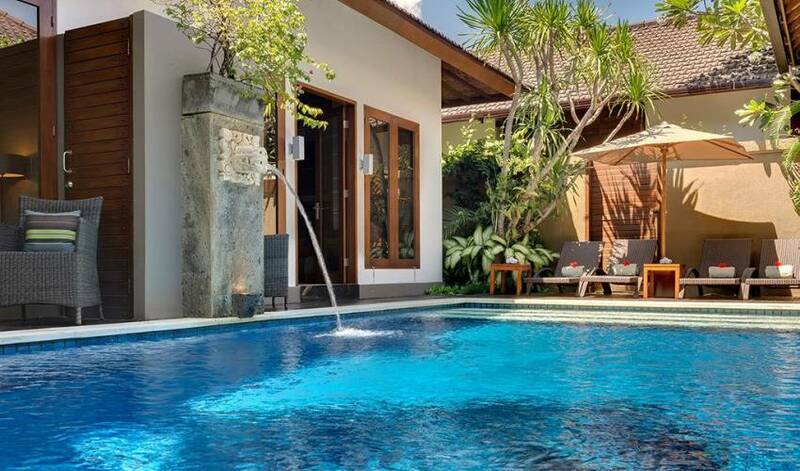 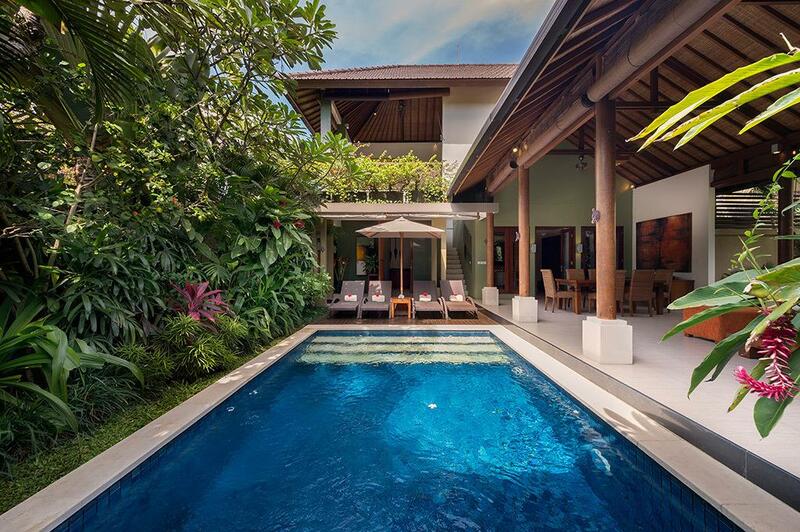 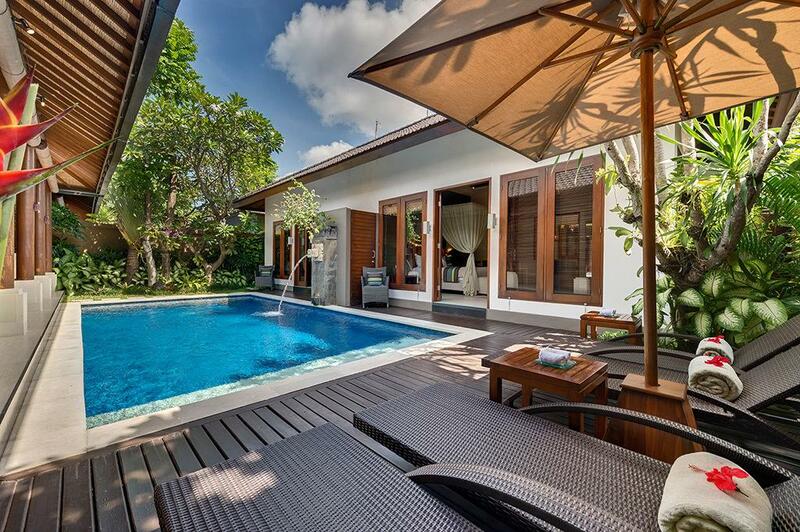 For those needing an additional bedroom and extra space, this villa can be connected to the adjoining one-bedroomed villa.